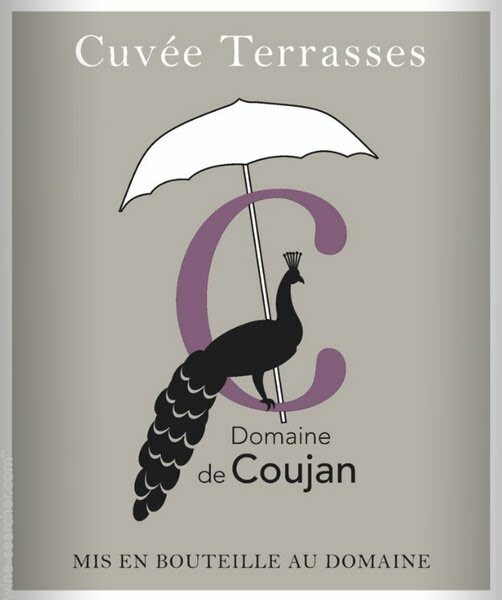 Chateau Coujan is a fifth generation family winery located near Saint Chinian, and came to us through our amazing Saint Chinian producer, Jean-Marie Rimbert. Florence Guy, the current winemaker, took over the domaine from her father, and converted the winery to organics in 2008. She cultivates all 50 hectares organically, an enormous task for sure! She is in charge of a team that works very hard to manage all that land, including her daughter, and her boyfriend who is the chef de cave, as well as pruning and tractor driving teams. The property has a lot of wildlife, including as many as 70 peacocks, their mascot. Vinification notes: grapes are hand harvested and destemmed. The wine is fermented traditionally for about 8 days at low temperature. The wine is bottled lightly filtered with a small addition of sulfur.